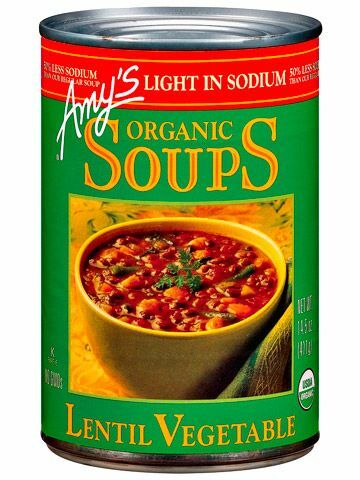 A warm cup of soup can be healthy (if you choose wisely) and satisfying. Here, our favorites, for when you don't have time to make your own. 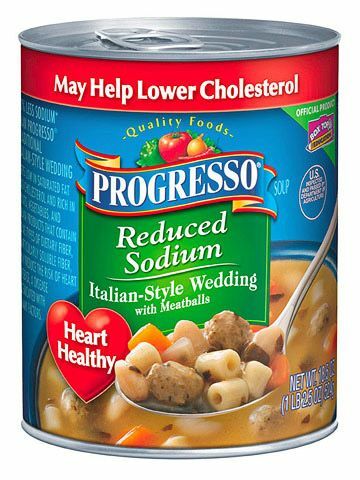 120 calories, 3g fat, 480mg sodium in 1 cup. "A quick and easy lunch. The mini meatballs tasted great and were very filling." 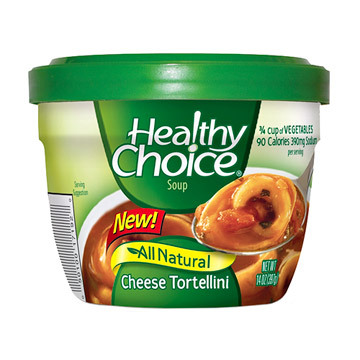 160 calories, 4g fat, 340mg sodium in 1 cup. "It was so well-seasoned I didn't miss the salt." 80 calories, 1g fat, 480mg sodium in 1 cup. 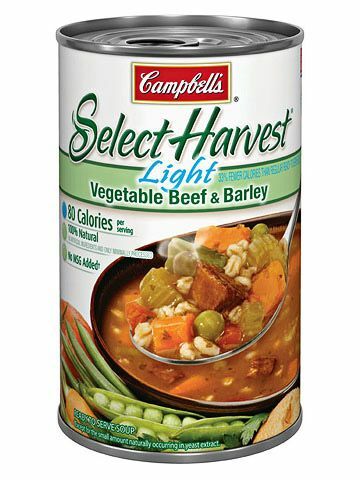 "There was the perfect amount of vegetables, beef, and barley." 90 calories, 1g fat, 390mg sodium in 1 cup. "I was surprised by how much pasta was in there."